David Gates coined the phrase ‘Picture paints a thousand words’ in the 1970’s song entitled, If. It sums up what a journey is all about when words are not enough. Thus, we believe that in some instances, photos of life and inanimate objects or things are what needs to be seen. No words. No elaborate expressions. Just simple photos! In this part of our blog site, Sean is in command (He is the one taking photos, by the way!). His lens would mostly do the work for him as he captures those intimate, memorable and amazing snapshots of people, other life forms and distinct objects, encasing the essence of its entity. We do hope that you will enjoy these photos as much as we enjoyed them! Eddy Ave. photo is beautiful! Yea! That’s the best I got that night! Thanks, Kaitlin! You have quite a few beautiful photographs..Thank you. Photos produce instant responses and, sometimes, recognition. I LUUUUUUUVVVV ur site! Thnx for the follow and I’ll visit u more when I’m free! Some great, interesting photos. Thanks for visiting my blog. Interesting collection of photos there, ‘reaching for your goal’ being especially interesting. The colours and unusual lines make that photo extra special. Hi and thanks for reading my blog on Spanish and on Panama City. Love your photos, I will read more soon. 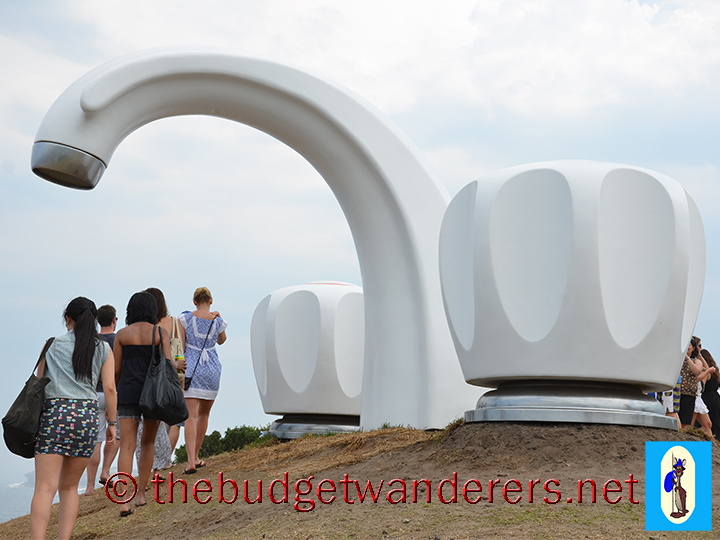 I remember seeing this tap on the cliff, part of Sculptures by the Sea near Bondi – wonderful to be reminded of it! I think that this tap was from two or three years ago. And it was one of the main attractions then.